Just look at this cheerful chap! 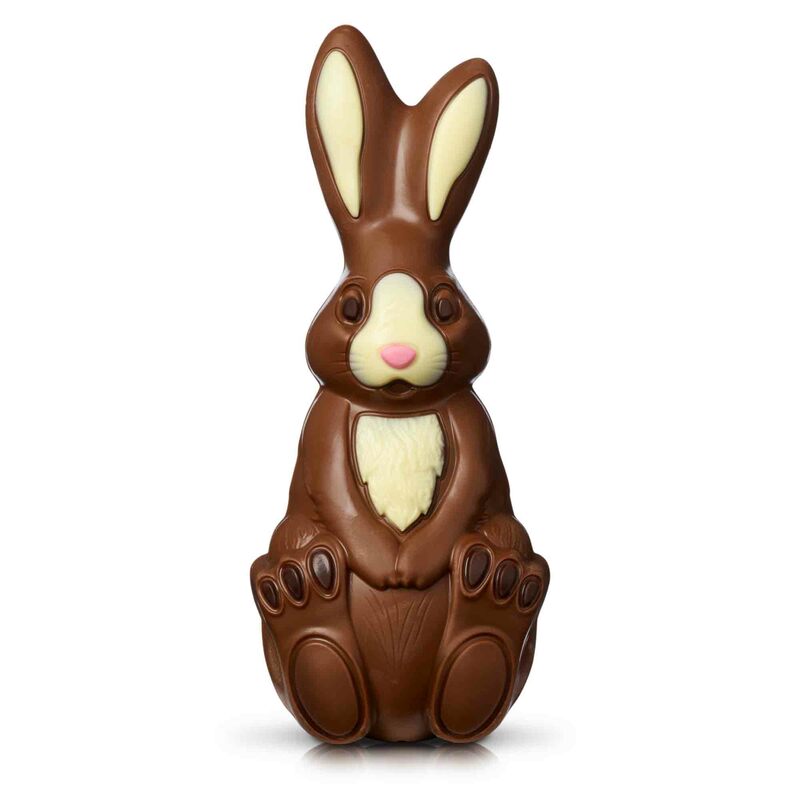 This irresistible bunny is a delightful gift for the young chocolate lover in your house. 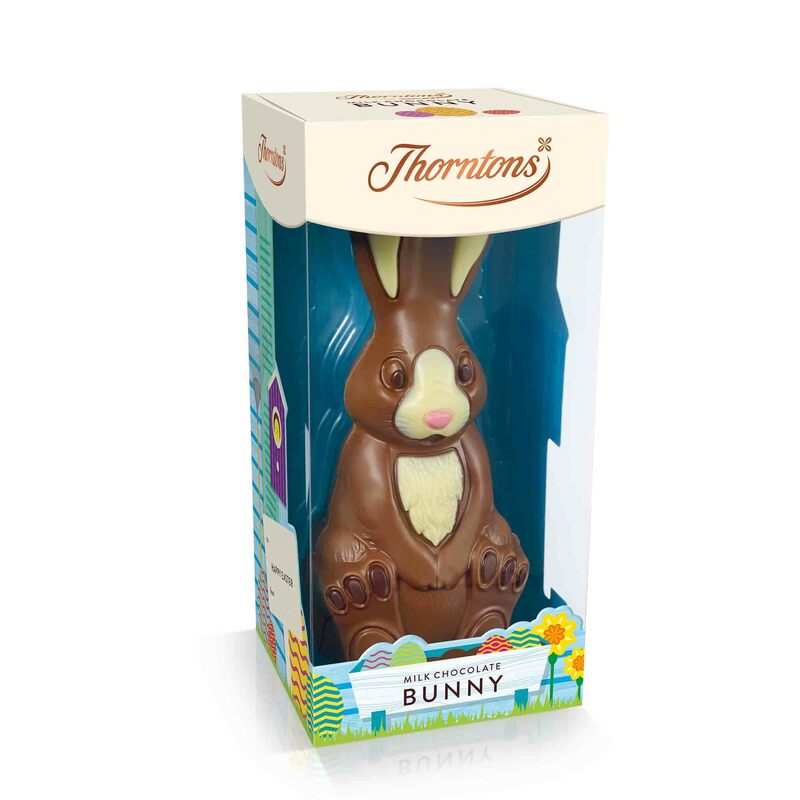 Thorntons classic delicious milk chocolate is decorated with white chocolate, dark chocolate and pink coloured features to produce a charming Easter gift to make your young ones hoppy...er, happy! Sugar, dried whole MILK, cocoa butter, cocoa mass, MILK fat, emulsifier (SOYA lecithin), fat reduced cocoa powder, flavouring, colour (beetroot red).